From the Nuremberg trials in the 1940s to the tribunals for genocides in Rwanda and the Balkans and now to mounting calls for an investigation into the Qaddafi regime's potential war crimes in Libya, international criminal justice, and America's role in it, remains a key issue for U.S. foreign policy. Frederick Lorenz, who has served as a legal advisor for the NATO implementation force in Bosnia and as a U.N. legal affairs officer in Kosovo, will present "International Justice at the Crossroads," on Thursday, March 31, at 7:30 p.m. in the Robinson Teaching Theatre in Weyerhaeuser Hall at Whitworth University. Admission is free. For more information, call 777-3270. Lorenz is a senior lecturer at the Jackson School of International Studies at the University of Washington. He also is a senior peace fellow with the Public International Law and Policy Group, with recent peace support missions to the Republic of Georgia and Nagorno-Karabakh, as well as three U.S. State Department-sponsored visits to the Republic of Somaliland. 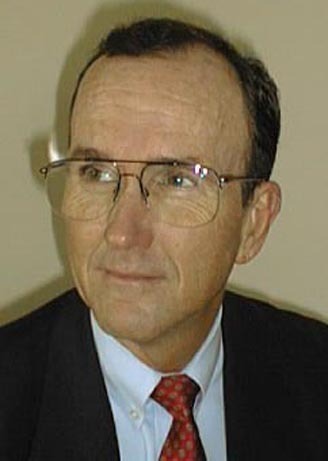 After obtaining his undergraduate and law degrees from Marquette University, Lorenz served in the U.S. Marine Corps for 27 years as a judge advocate. He also has served as the senior legal advisor for U.S. operations in Somalia, including during the U.N. evacuation of the country in 1995, and as a legal advisor for the NATO implementation force in Bosnia. After retiring from the military, he served as a U.N. legal affairs officer in Kosovo, working in the U.S. Civil Administration. For the past three years, Lorenz has taken UW students to The Hague for a program called Challenges of International Justice. Lorenz supports the International Criminal Court (ICC), the first standing tribunal that deals with accountability for war crimes, crimes against humanity and genocide. Due to concerns about sovereignty and other issues, the U.S., China and Russia have been reluctant to offer full support to the ICC. Lorenz argues that the world's superpowers, including the U.S., which he asserts has a record of supporting international justice, need to support the ICC in order for it to gain legitimacy on the world stage and ensure the future of international justice. "Frederick Lorenz's experiences with some of the toughest legal issues in international law will provide the audience with an important perspective," says Patrick Van Inwegen, an associate professor of political science at Whitworth. "His work fits with the interests of many of our students, faculty and staff, who support the creation and promotion of more just international systems." Lorenz's presentation will be the third lecture in Whitworth's 54th annual Great Decisions Lecture Series, which features five speakers who focus on current political, cultural and economic subjects of interest to the international community. In addition to the March 31 lecture, Great Decisions lectures will take place on April 14 and May 5. The lectures will begin at 7:30 p.m. and will be held in Weyerhaeuser Hall's Robinson Teaching Theatre. For information on upcoming lectures, please call (509) 777-3270. Great Decisions 2011 is sponsored by the Whitworth Political Science Department.